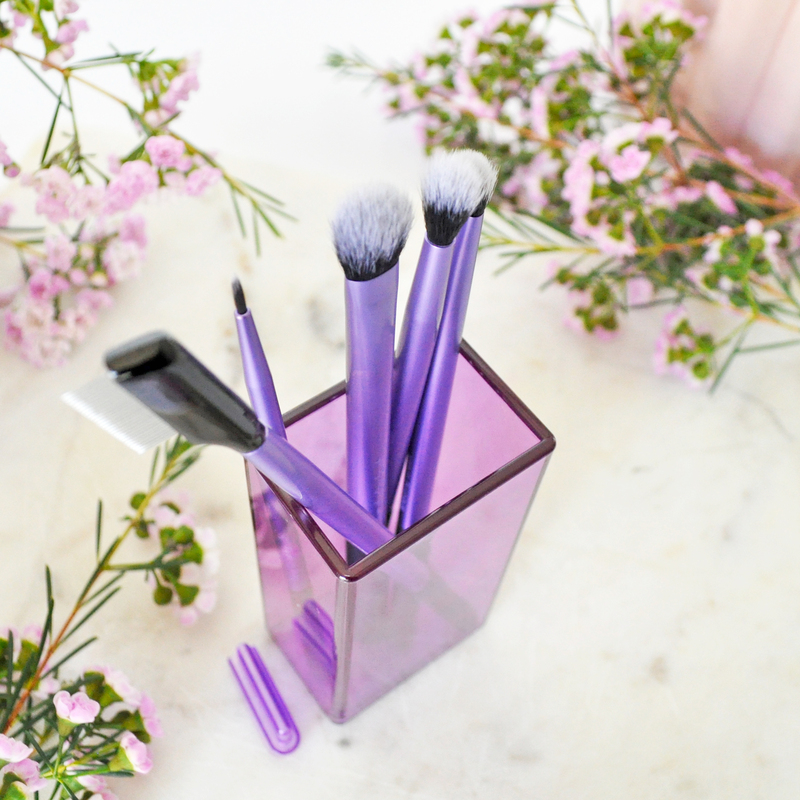 As a lover of a sultry smoky eye, I know that mastering the eyeshadow application technique can be a lot simpler with a good set of high-quality brushes. Lately, I have been loving Real Techniques makeup tools. I literally use them every day so when it comes to longevity, durability and performance, they tick all the boxes. It is now a lot more gratifying to create any eye look with the Enhanced Eye Set. 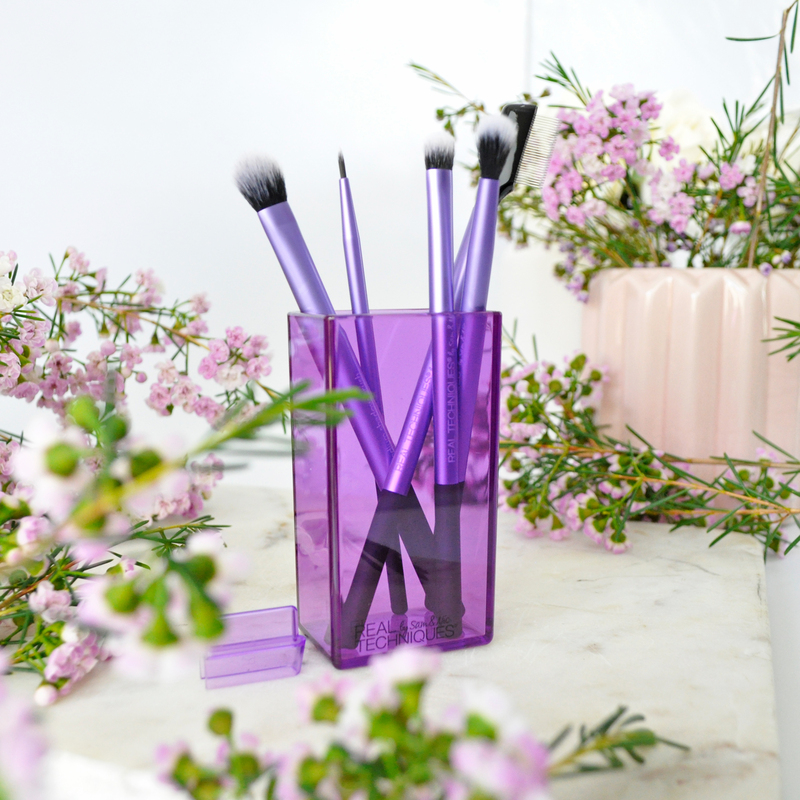 All your brush essentials are included: There is the medium shadow brush, crease brush, fine liner brush, shading brush and a lash separator. Plus you can keep them organized on your counter in the brush storage cup which is also included in this kit. 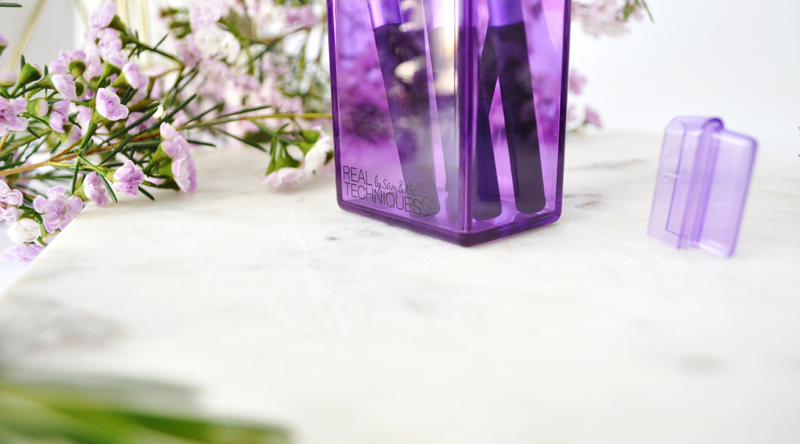 My first impressions were about how luxurious and soft the bristles were. 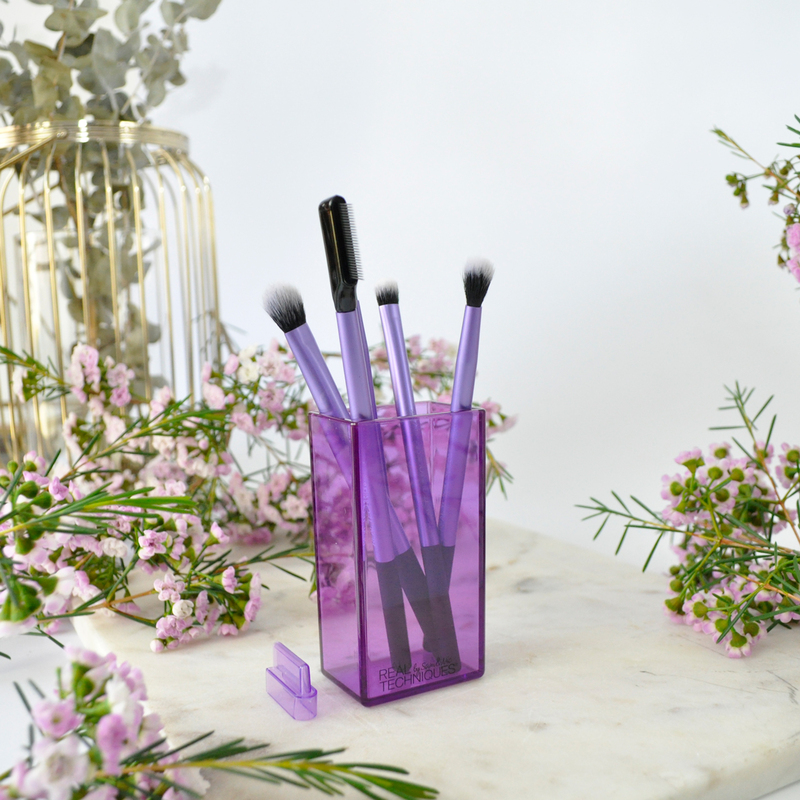 The brushes are all quite versatile and work well with both powder and cream shadows. They pick up the right amount of colour for a flawlessly blended result. I often use the medium shadow brush to blend eye colours or set my under eyes. 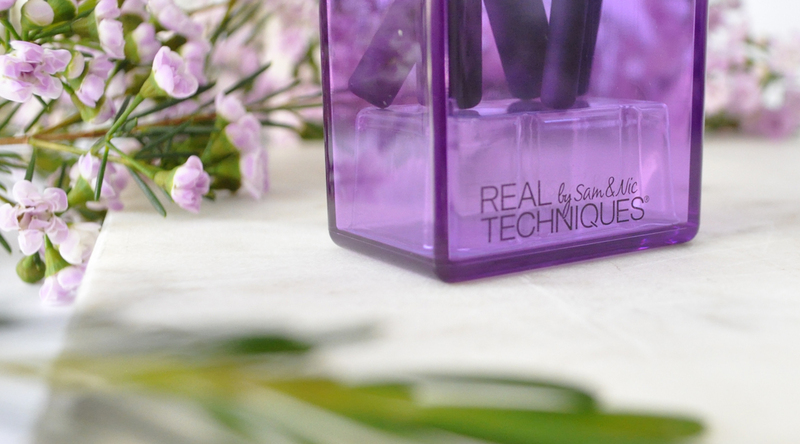 The essential crease brush is used to add depth to the crease of my eyelid and also highlight my inner corners. The shading brush is a staple in my kit, it’s dense enough to pick up product but loose enough to blend and diffuse the colours. If thin lines or bold cat eyes are your makeup game, then you will love the precision application of the Fine liner brush. This set also includes a lash separator which helps define my lashes and keeps my mascara from clumping together. For me the Enhanced Eye Set is an absolute winner. The handles are long solid and comfortable to hold. The soft synthetic bristles feel gentle on my skin and the quality of the brushes are amazing. This kit contains everything I need for my subtle everyday look or a more dramatic smokey eye. They are convenient to use and easy to clean, always manage to come out looking good as new after a wash without a sign of shedding. 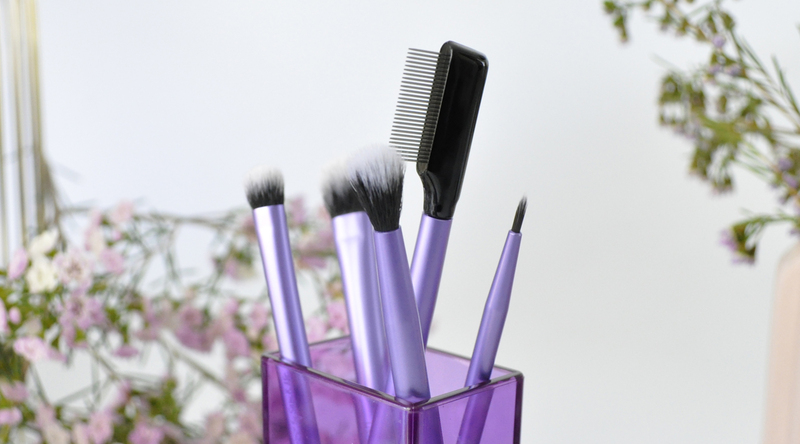 These five essential brushes are definitely worth the splurge! 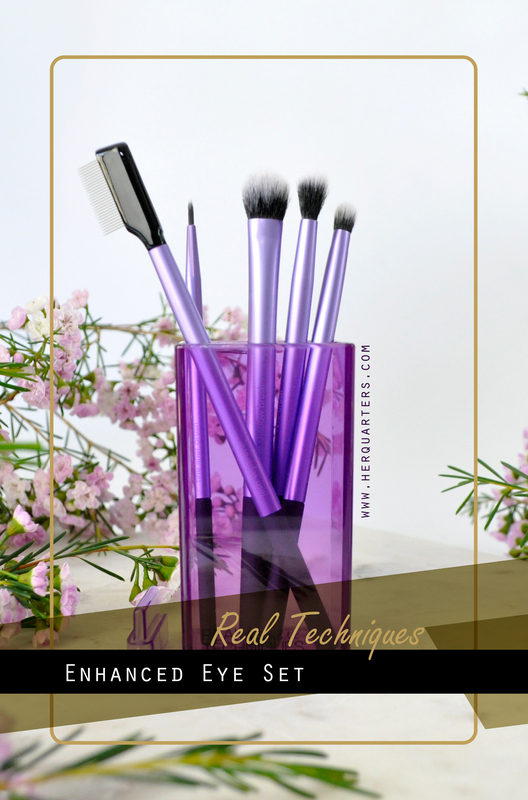 Have you tried Real Techniques makeup tools and brushes before? What are some of the best makeup brushes that you have used? Let me know in the comments below. I love that they come with a little brush holder now! That’s so good! The RT brushes have to be some of my favourites I think! This is exactly what I need! I’m lacking in eyeshadow brushes, and I do love Real Techniques. 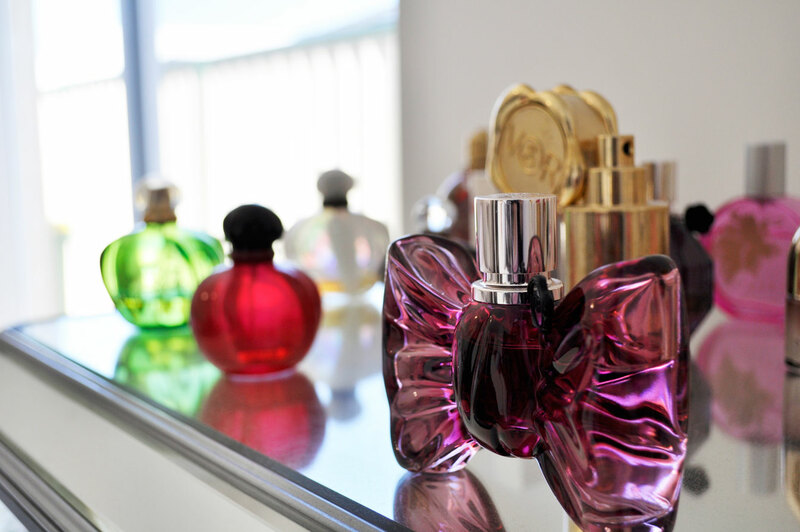 Checking this out next time I’m at Priceline for sure! It’s a beautiful set, isn’t it (and your photography is stunning too)! I love the quality of the RT brushes, I’ve had several that are close to 8 years old and they’re still going strong! I know nothing about the right brushes. But reading this gives me a great starting point. I love my RT brushes! This set is beautiful. Not gonna lie, I’ve always been a bit confused about which brush to use for what. This was a great rundown, thanks! These brushes look really nice, I need to try them out. Thanks, for sharing!